Since the Spanish first set foot on Mexican soil in 1519, the stepped, crumbling and jungle-covered scattered ruins of the south-eastern Yucatan Peninsula have fascinated the outside world. 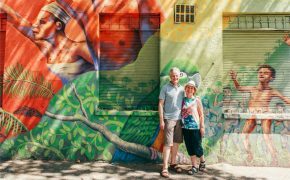 They’re the legacy of the most sophisticated and formidable people ever to dominate Central America: the s. These pyramids, temples, holy places and sacrificial sites attract the curious minds of thousands upon thousands of travellers per year, and deservingly so. Whether you’re a history buff, an adventurous spirit, or simply a photographer searching for that perfect photo opportunity, there’s a ruin to suit your needs: from the most well-known (and crowded) to vine-covered relics tucked away in odd corners of the Guatemalan jungle. Choosing the right site to visit can be a tricky task. In Mexico alone, there are an inconceivable amount of archaeological ruins just waiting for you to explore. So, in order to make your life a little easier, we’ve compiled a list of the top 8 Maya ruins that are definitely worth your time. Pack your camera and some swimmers, as Tulum’s Maya Ruins loom over the golden sands and turquoise waters of the Caribbean Coast. It would be harder to be closer to the beach without waves lapping between the stones. 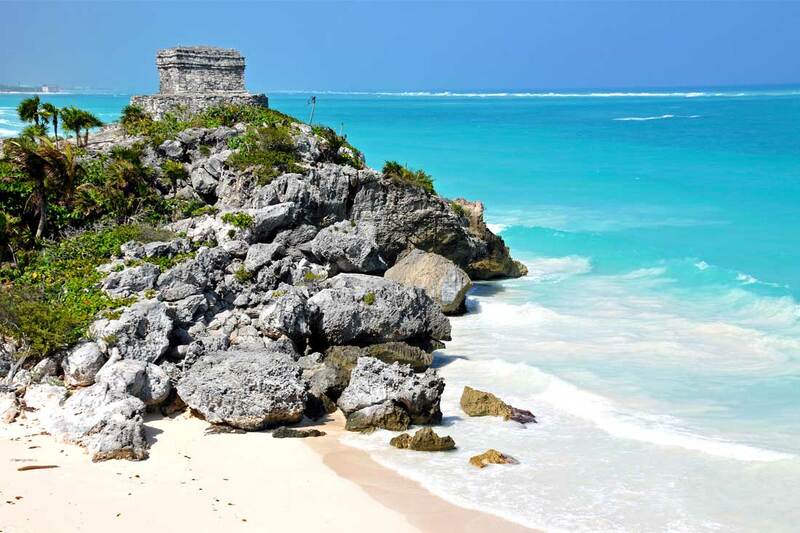 Tulum is one of the more popular sites on the Yucatan Peninsula, not least because it’s very easy to get to. A day trip to the ruins will give you access to not only a well-preserved archaeological site, but also to the private beach which lies just below the limestone cliffs. What makes this site unique is that it was the only Maya settlement built on the Caribbean shore. The purpose of the city was to act as a seaport to neighbouring regions, trading mainly turquoise and jade. While inspecting the ruins and artefacts up close is a must, cooling off in the water and reflecting on the ruins from afar is equally enchanting. Tulum’s Maya Ruins can get extremely busy, as it’s one of the most popular sites to tourists who visit Mexico, so expect a crowd (avoid July and August if you can, they’re the traditional national vacation period). 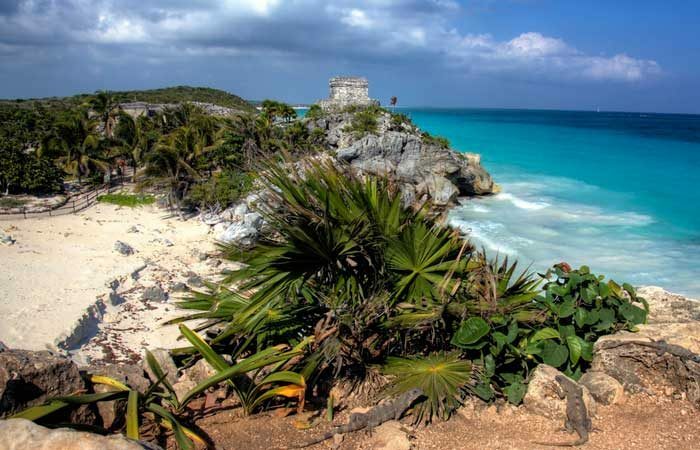 Like many areas of Mexico, Tulum can also get extremely sticky and humid, so make sure you pack a hat, a water bottle and sunscreen. Although if it does get too hot, the water is only ever a few feet away. If you’re put off by crowds, Chichén Itzá is probably not the site you’d place at the top of your Maya ruins to-do list. 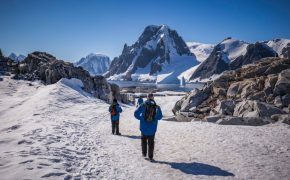 However, if you’re more concerned about accessibility, and visiting an area with immense cultural significance and grandeur, then this is your site. Chichén Itzá is located on the Yucatan Peninsula, about 125 kilometres west of Cancun. It’s a UNESCO world heritage-listed site and boasts El Castillo (The Castle), which makes it Mexico’s most famous Maya site. A fact that also makes it the most heavily-visited. 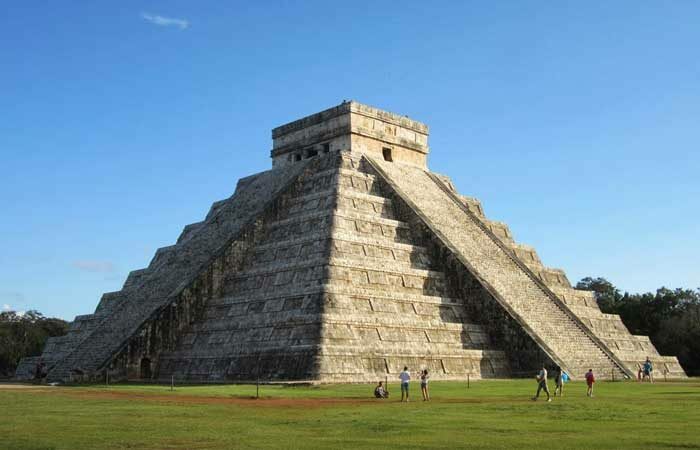 If you do decide to head to Chichén Itzá, try and time your visit it in line with the morning or afternoon sun. The light of the sun produces a light-and-shadow illusion of a serpent ascending or descending on El Castillo’s staircase. El Castillo is a massive step-pyramid, which may be appealing for travellers looking to climb. 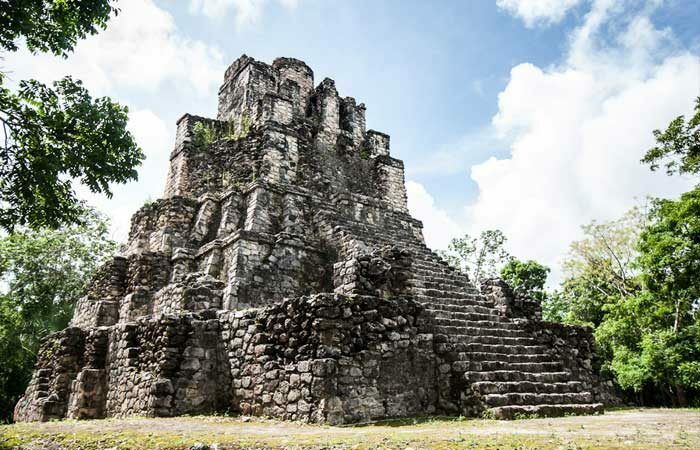 However, it’s important to note that you cannot step upon the castle itself; so if you’re after visiting Maya temples than you can actually get your feet on – read on. If you’re after a unique experience where you can climb and reach the summit of ancient Maya ruins, Coba could be for you. Visitors can hike their way up the site’s largest pyramid, Nohoch Mul, which stands 138 feet and overlooks the canopy as well as the nearby Macanxoc and Cobá Lagoons. Coba also doesn’t experience the same swell of tourists as Tulum and Chichén Itzá, making it a good out-of-the-way choice for those who favour a slightly calmer Maya experience. Coba’s claim to fame is that it is home to the Maya’s largest network of stone causeways. Like so many Maya ruins, in a lot of ways Coba is still a puzzle waiting to be pieced together. To this day, no one knows how inhabitants of Coba actually transported their goods through this enormous network of pathways. 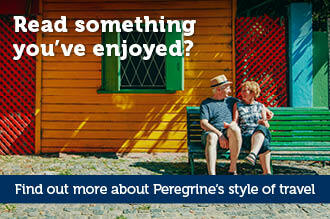 So – walk, hire a bike taxi, or rent a bicycle and try and crack the code. Coba shares another perk with Tulum. If the day becomes incredibly hot there is are three incredible swimming spots nearby. Crystal blue limestone cenotes (underground sinkholes filled with fresh water) are a 10-minute drive away from the ruins. You can visit Coba by car, or by bus from nearby Tulum, Playa del Carmen or Cancun (the ruins are only 44kms away from Tulum). 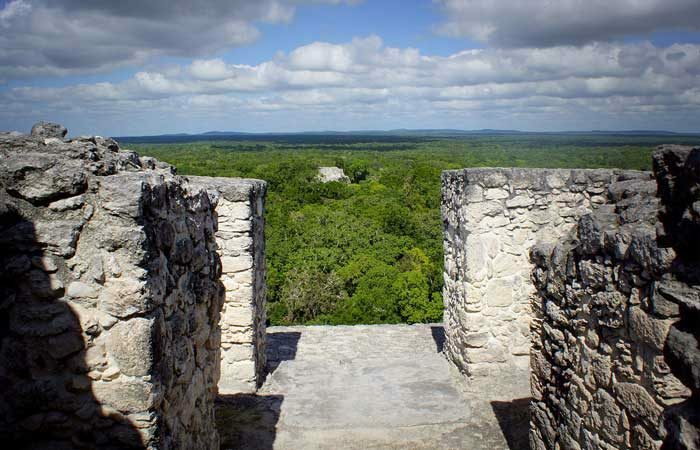 Calakmul is a Maya archaeological site that boasts the largest and tallest known pyramid in Yucatán. It’s home to over 7000 structures that have been reclaimed by the dense jungle, and a good choice if you’re looking for something more adventurous than the typical tourist sites in Tulum and Chichén Itzá. To get to Calakmul it’s best to drive, take a taxi, or expect a long bus ride. Calakmul is located in the central/southern area of the Yucatán Peninsula; deep in jungle, and right next to the Guatemalan border. 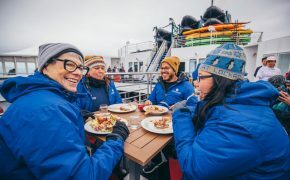 While it is, of course, a historical experience, it’s also a noteworthy ecological one. The Maya ruins are surrounded by rainforest, with mahogany, cedar and rubber trees supporting a seemingly endless canopy of vegetation. Amid the ruins of Calakmul, you can expect to encounter over 350 species of wild bird species, along with ocellated turkeys, parrots and howler monkeys. Be sure to bring food and water, as you’ll be doing a lot of (worthwhile) walking, and it gets humid beneath the trees. 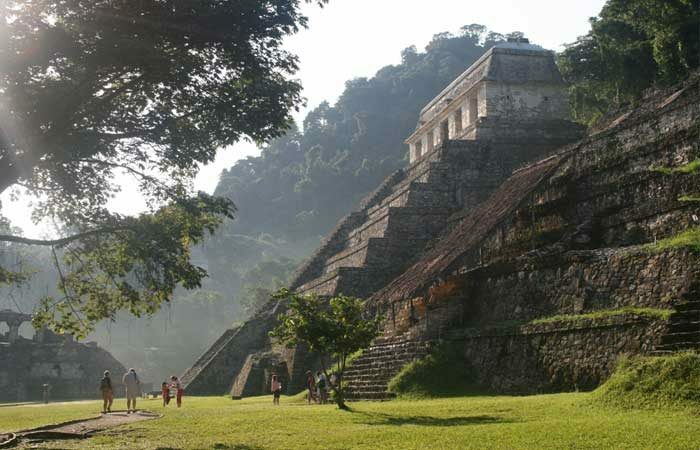 Home to jungle-swathed temples, Palenque is an ancient Maya state located in Chiapas (the Pacific Coast of Mexico). It’s easy to get to Chiapas, as there are now flights straight from Mexico City. Palenque is smaller and more modest than some of the other Maya sites, which makes it less popular with the tourist crowd. What Palenque lacks in sheer size, it more than makes up for in naturalistic sculpture, architectural inventiveness, and detailed epigraphic record. In fact Palenque became the first site to allow archaeologists to build a timeline of Maya rulers. Similarly to Calakmul, the ruins of Palenque reside deep in the region’s primordial jungle. The site looks out over the Usumacinta River floodplain and is certainly one that attracts souls fascinated in the ancient history of Maya people. 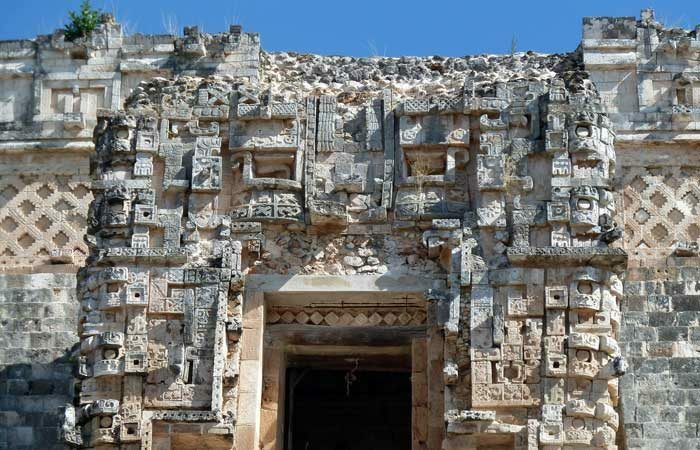 History buffs and thrill seekers alike need look no further than the Temples of Uxmal. The UNESCO world-heritage listed Uxmal is in the Puuc Region of Yucatán and can be accessed via car, bus or (with us) on a guided tour. It’s about 62 kilometres south of Merida. The Temples of Uxmal are one of the most significant and important archaeological sites of Maya history, and even before they were restored, were considered to be in excellent condition. Thanks to its good state of preservation, it is one of the few Maya cities where the casual visitor can get a good idea of how the entire ceremonial centre looked in ancient times. 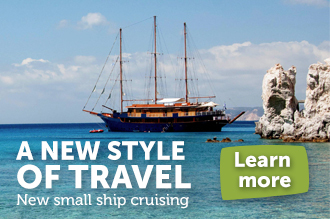 It can also be a quieter site to visit: there are few tourists and even fewer vendors. Uxmal is a site that suits travellers wanting freedom to explore. Wear a good pair of shoes with good tread, as you can climb almost all of the site’s ruins. Uxmal also boasts numerous important buildings, such as the Pyramid of the Soothsayer, the Quadrangle of the Nuns and the Governor’s Palace. Monte Alban is located in the Southern Mexico state of Oexaca. 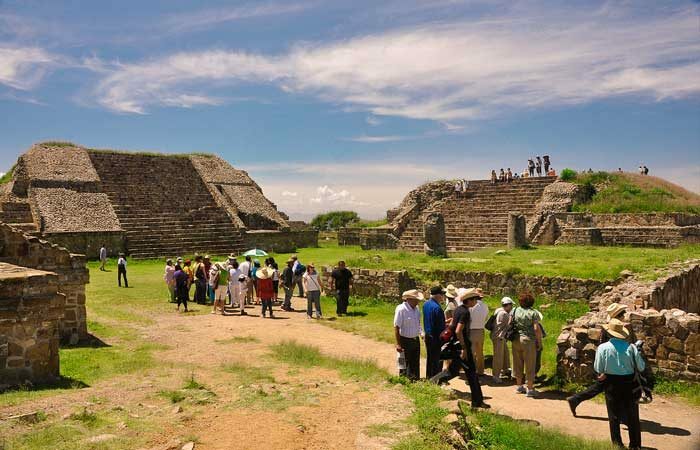 The ruins of Monte Alban can be explored via an easy day-trip from Oexaca, and host the remains of temples, palaces and tall stepped pyramids. If you’re after a Mayan ruin site with a view, Monte Alban provides something pretty special, even compared with other lofty sites like Coba. The observatory has a wonderful 360-degree over the city, valleys and distant mountains, and it doesn’t disappoint. Monte Alban is also is home to close to 170 tombs (a fact that may entice a few budding archaeologists out there). Monte Alban translates in English to “White Mountain” and is situated 400 m (1300 feet) above the floor of the Oaxaca valley (it is not for the faint hearted, or the vertigo sufferers). Devoid of hoards of people, tourist buses, and the scraps of rubbish blowing like tumbleweeds through the jungle, Mayapan Ruins is a fantastic site to visit. Mayapan is 4.2 square kilometers and has over 4000 structures. It’s located approximately 40 kilometres southeast of Mérida and 100 kilometres west of Chichén Itzá; Yucatán. 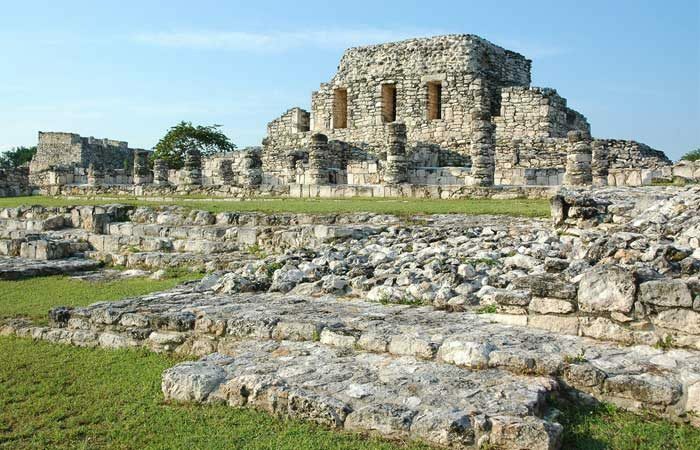 Interestingly, the Mayapan site was built by the same people who built Chichén Itzá, so if you explore both, take note of the similarities between the architectural aesthetics. If you are after an impressive temple to explore, Mayapan boasts the Castillo, a large pyramid also known as The Temple of Kukulcan. Signage around the Mayapan Ruins is quite lousy, like a lot of the more obscure sites that attract fewer crowds. 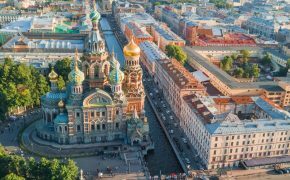 In order to make the most of your trip to not only this archaeological hub, but every, do your research! You’ll be glad you did. Follow us on a small group tour through the Yucatan’s greatest Maya sites.